President Obama is now taking credit for creating 15 million jobs. That's how many new jobs have been created since the dark days of the Great Recession. Another solid month of hiring in September has brought the tally to over 15 million non-farm jobs. "Anyone claiming that America's economy is in decline is peddling fiction," President Obama said in his State of the Union address earlier this year. His critics counter that this is the slowest recovery since WW II. This week Obama fought back at his detractors. He said his team has created a "more durable, growing economy" with "15 million new private-sector jobs since early 2010" in an essay in The Economist. Democrat Tim Kaine also used the 15 million jobs talking point in the vice presidential debate. But Obama is using the most generous accounting possible to get that figure. He doesn't start the count from his first day in office in 2009. Instead, he begins calculating job gains from February 2010, which was the lowest point for employment in the aftermath of the financial crisis. Under 130 million people were working then, according to U.S. Department of Labor. Now there are almost 145 million employed Americans. 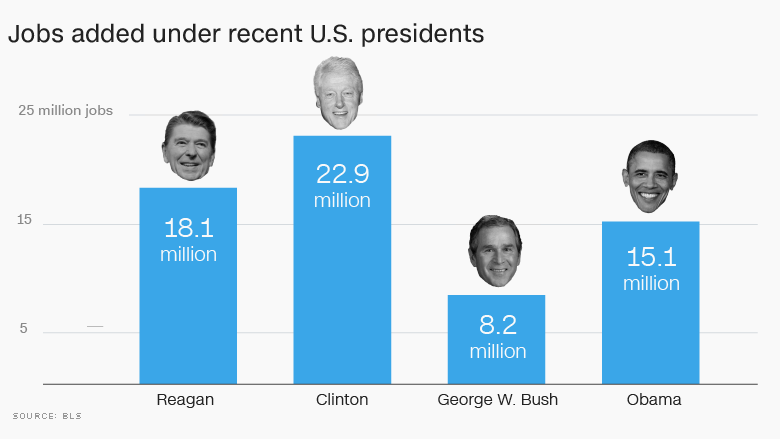 CNNMoney used the Obama methodology (lowest employment point to highest) to see how he stacks up against recent presidents. The result: Obama is still behind Presidents Clinton (22.9 million) and Reagan (18.1 million), but he's left President George W. Bush (8.2 million) in the dust. So what happens when you start the clock on Obama's first day of office? If you do that, Obama can only take credit for 10.8 million new jobs. He also looks a bit worse compared to Reagan and Clinton. Some make the case that the Obama jobs clock should start in February 2009 since the president only takes office on January 20 and that was a terrible month for job losses. Starting in February yields 11.5 million new jobs created under Obama. 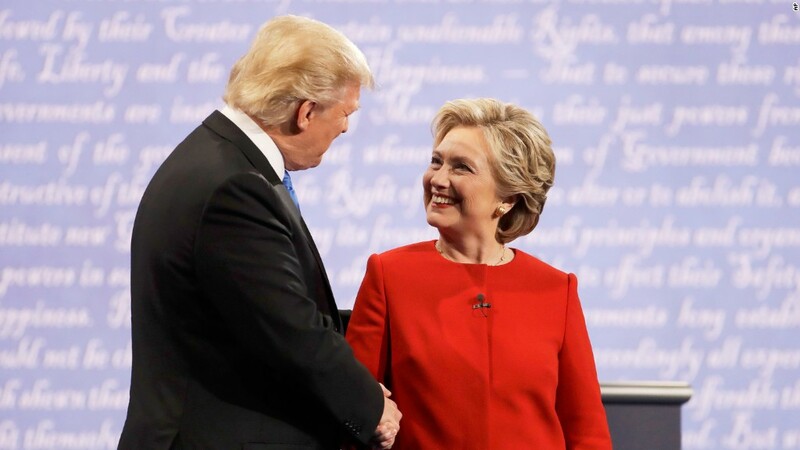 "It's obviously a political question, because it's a judgment about whether he was responsible for any or all of those 4.3 million jobs lost during his first 13 months in office, or just for the 15 million jobs added thereafter," says Lakshman Achuthan, co-founder of the Economic Cycle Research Institute. Achuthan doesn't take a stance on which method is better. The Obama administration says the job gains clock shouldn't start until 2010 because it took time for the president's policies to take effect to get the country out of the worst recession since the Great Depression. Obama has played up job growth in interviews and speeches about his legacy because it's been particularly strong in recent years. In many ways, hiring has been the highlight of the recovery. Economic growth overall has been mediocre, and wages haven't picked up much (at least for the middle class). "President Obama has tried to walk something of a narrow line along the lines of: We've made progress, but we still have work to do," says Mark Hamrick, senior economist analyst at Bankrate.com.